With the release of The Avengers (2012) in the US comes the $220 million big-budget film based on the Marvel comic superheroes. The films already made $281.1 million, so the question is when are you planning to watch it? Vote now using the poll below or enter in the comments section. 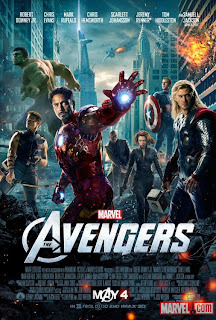 Are you planning to watch The Avengers? Why or why not? I'm seeing it in less than two hours! Sweet Neil. I'll read your review when I get back from seeing it tonight. Nice to know I'm not missing anything in 3-D.
Can't wait for the Monday review Alex!